Determined to stick to those New Year Resolutions in 2019? What are the odds, based on your success rate in the years past? Did you make it to the end of January – or simply to the end of the week? Health is the best gift you can give yourself, but how to go about it? In these days of lengthy waiting times to see your GP, and even longer queues for hospital appointments, it’s ever more important to get healthy and stay that way. Step one is to find that ‘health essential’ you may never have known you needed - your health baseline. So if there is one thing you should (in my opinion obviously, as I wrote the book!) 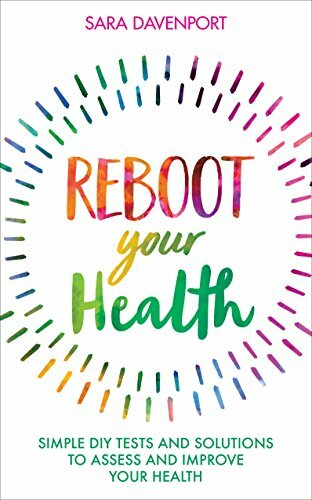 do for yourself this New Year its buy a copy of ‘Reboot Your Health’ and spend a brief hour or two working through the tests and establishing where you are healthwise right now when you are in the mood to stop bad habits and replace them with better. What is your ‘Health Baseline’? This is a simple, comprehensive assessment and overview of your body. 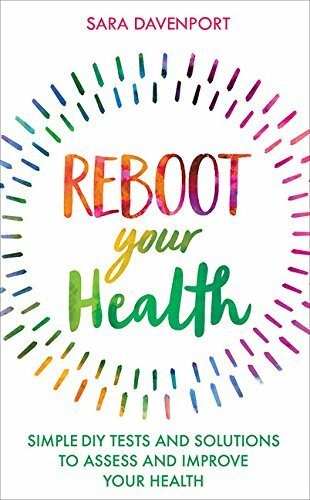 It’s a record that you keep and update each year, giving you a clear picture of your health so that you can track it going forwards, keeping on top of what’s improving and – most importantly, what’s not. The first step is to work through each of your organs and body systems. There are a wide variety of simple, free or inexpensive tests that you can do at home that will give you a clear view of what is going on inside you. These tests include topics such as sleep, saliva/urine pH, bowel habits, blood pressure, heart rate, BMI, metabolic rate, candida, thyroid, cholesterol, vitamin deficiency, hormone imbalance, inflammatory markers. You benchmark your own body against a range of "normal" to work out what’s working properly and what may be struggling. The tests are approved by doctors, naturopaths and nutritionists, and are helpful indicators that will flag any issues that may need further professional advice. Once you have a clearer picture of your health baseline, there are plenty of inexpensive and non-invasive solutions that can help you address any potential problems. Choose from a range of natural remedies, conventional medical solutions, scientifically proven complementary and alternative approaches, psychological therapies and healing modalities. Start your New Year with the simple energy scan. It’s worth recording because it’s often difficult to remember, several weeks down the line, how you felt before you started on your path back to a healthier happier you. In our frenetic modern lives, we’re often running so fast that our energy tank can end up empty and it’s at that point that health issues may start to rear their ugly heads. Just like a car, you are powered by energy ‘batteries’, so take a moment to tune into your energy levels. Sit quietly somewhere and really listen to how your body is feeling. Imagine that there is a battery inside you – a store of energy – powering your body and marked with the numbers 1–10 at regular intervals from bottom to top. 1. On that 1–10 scale, how full is your battery? 2. Write down the number that instantly springs into your mind, along with the date. 3. You can refer back to it in a few weeks’ time when you’ve had a chance to introduce some of the rebalancing suggestions in the book. Then re-test again and compare the results. 1. Using the middle and index fingers of one hand, press them firmly on the artery on the inside of the wrist of your other hand or into the soft hollow to the side of your windpipe, until you can clearly feel your pulse. 2. Count how many beats in a minute (or 20 seconds and then multiply by three). 3. Repeat the test three times to get an average score of your resting heart rate. A normal reading will be between 60 and 80 beats per minute (bpm). The more your body is struggling with stress, weight, lack of exercise, medications and/or emotional difficulties, the greater the strain on your heart and the higher your reading. Most of us have candida to some degree, although in many cases it doesn’t cause a problem. Funguses can cause athlete’s foot, thrush or ringworm, but there are other less obvious symptoms too, including exhaustion and gut and urinary tract infections (UTIs). This simple test is an effective way to check for candida. Put out a fresh glass of water before going to bed. First thing in the morning, briefly rinse your mouth, swallow, then gather some saliva and spit into the glass of water (be sure to spit out saliva, not mucus). Keep an eye on the water for 30 minutes, paying particular attention in the first few minutes. This simple test will help you check if your adrenals are seriously drained (although it doesn’t work so well for mild adrenal fatigue). With your fingernail, draw a sharp line across your bare stomach or on your inner forearm. If your adrenals are working well, the line will turn white then red within 15 to 20 seconds. If the line turns red more rapidly that may indicate excessive adrenal activity. When your adrenals are struggling, however, your blood pressure tends to lower, with the blood vessels widening as a result. Light stimulation of the skin in this case will cause those blood vessels to contract and narrow, whitening the skin instead. So if the line stays white and gets wider after a few minutes, then you may have a problem. This is an indicator test only and should be followed up by a consultation with your doctor.